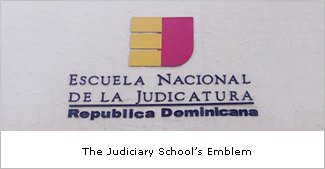 The National School of Judiciary is a school attached to the Supreme Court of Justice of the Dominican Republic, established by the Judicial Career Law of August 11, 1998. They are committed to contributing toward excellence in the justice system and for this they have implemented a set of programs designed to meet all training needs of the members of the Judiciary. 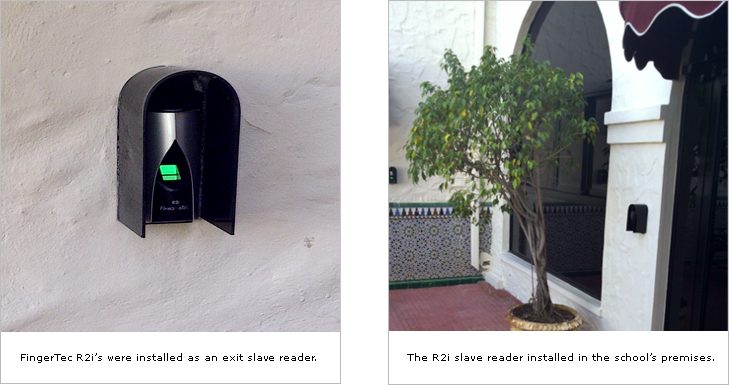 The main purpose of the biometric system installation was to control the in and out movement of people and students in the school. 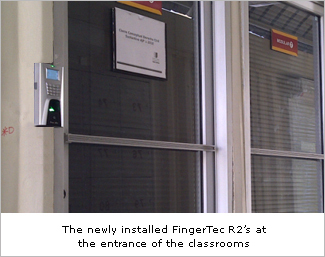 They have also installed the FingerTec R2 at the entrances to the class rooms so that the management can keep track of attendance and the courses being taken by a student. In the Administration building, you will also find that the access control devices are installed there, but only staff are granted access to the area, and not students. E. Thrian & Cia has been a valued FingerTec dealer since the year 2006 and has conducted some large installations around major organizations (such as IKEA) around the country since. Copyright © 2011 FingerTec Worldwide Sdn. Bhd. All rights reserved.